Manage - DealManager - Wizdocs, Inc. Assign tasks through the portal. 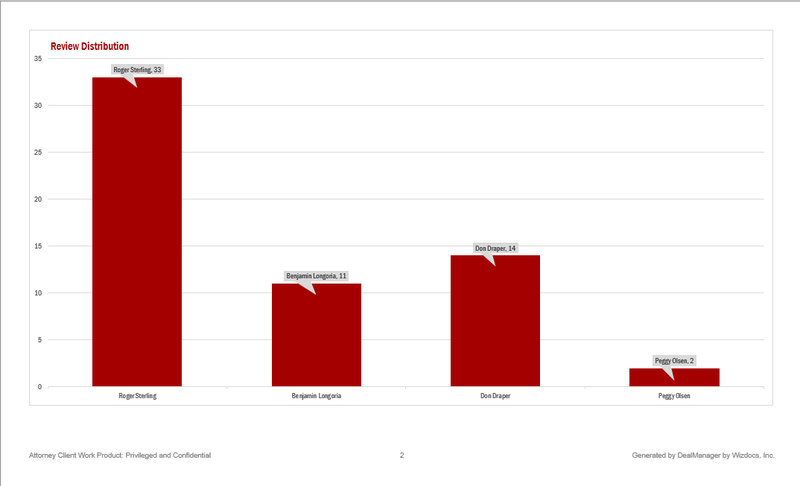 Progress reports and analytics give attorneys real-time status on review progress, deal buget, and staffing. 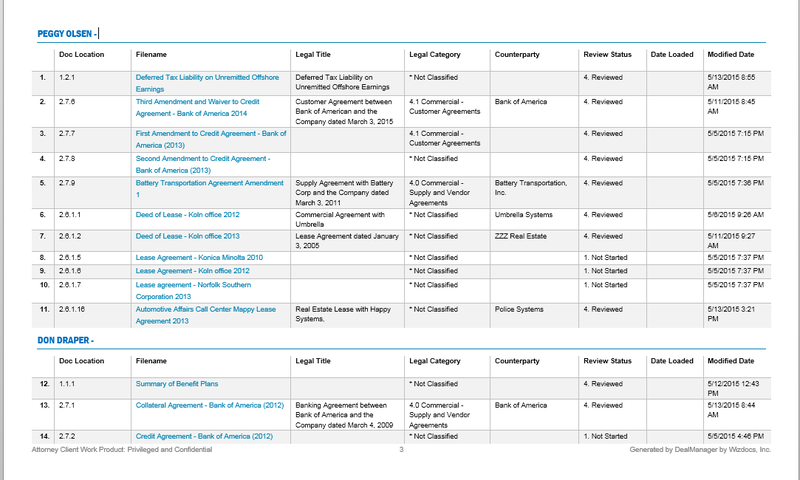 Assign agreements for review through the dashboard. DealManager informs the assignee of the assignment tasks, collects the diligence analysis, and informs the deal coordinator when the review task is completed. By automating the assignment process, DealManager saves countless hours. Create assignments directly or import a list of assignments or documents to review from a third party virtual data room (VDR) with the Wizdocs Index Importer. Invite external attorneys, in-house counsel, contract attorneys or others to participate in the diligence review. Unify inside & outside counsel, contractors, and legal process outsourcers with DealManager. Message team members from within DealManager, review assignments, enable project management and workflow control. Messages are stored and linked with the related document review assignment. DealManager monitors the progress of the deal in real time, allowing deal managers unprecedented insight into the review process. View workload, review status, and pinpoint areas of delay. 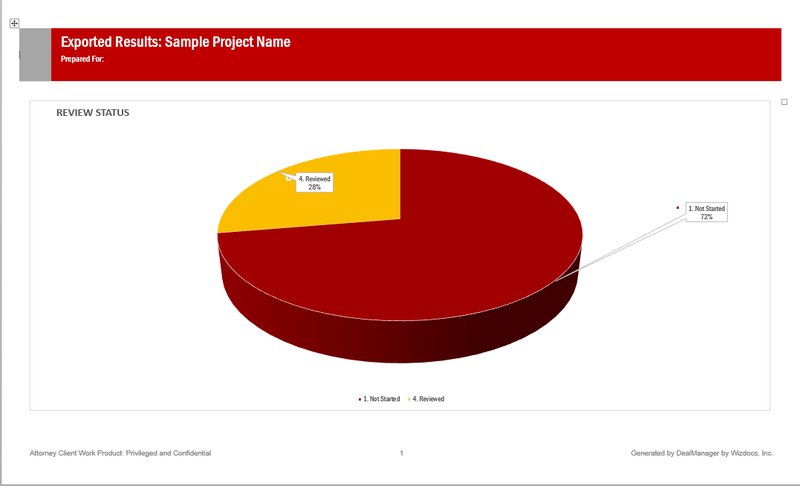 The Wizdocs Reports Generator automatically creates Word based reports detailing the review status, complete with charts and graphs. 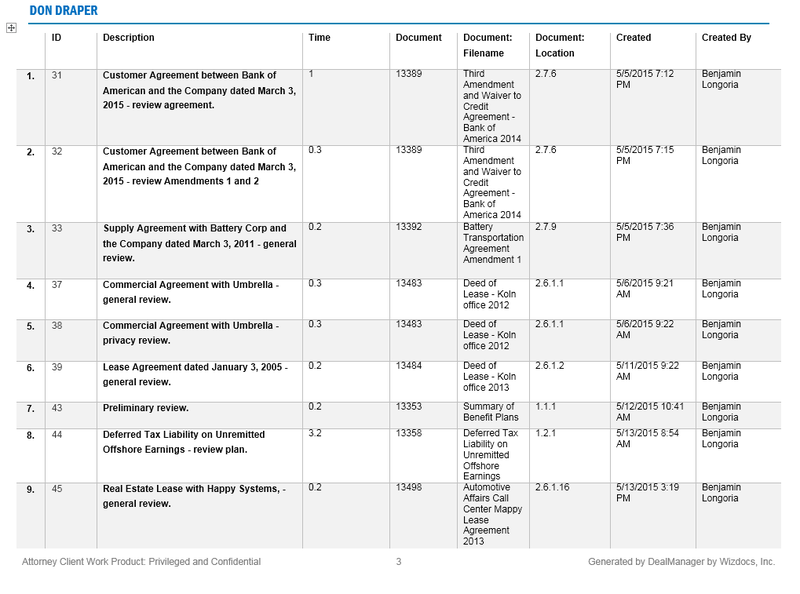 Track billable time entries by document or by task basis. 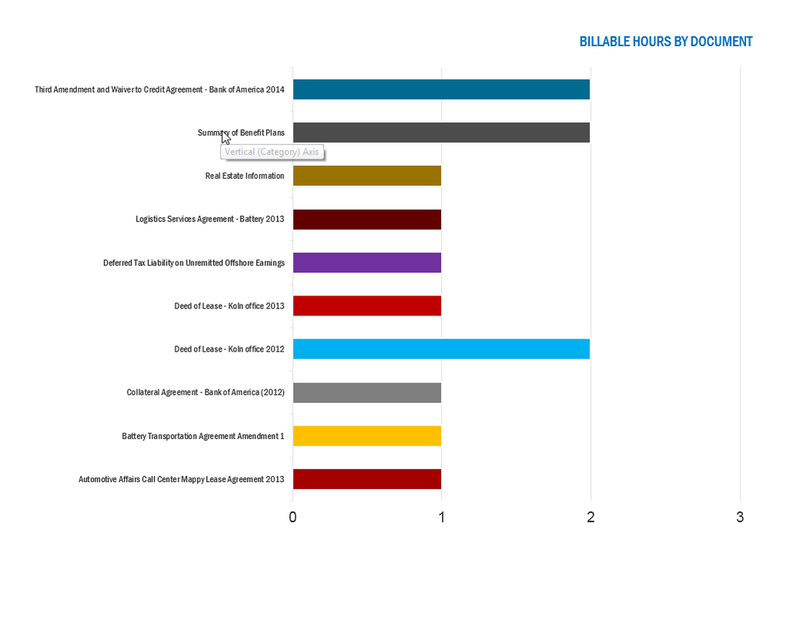 Hours billed are calculated in real-time, allowing supervisors to adhere to budgets. 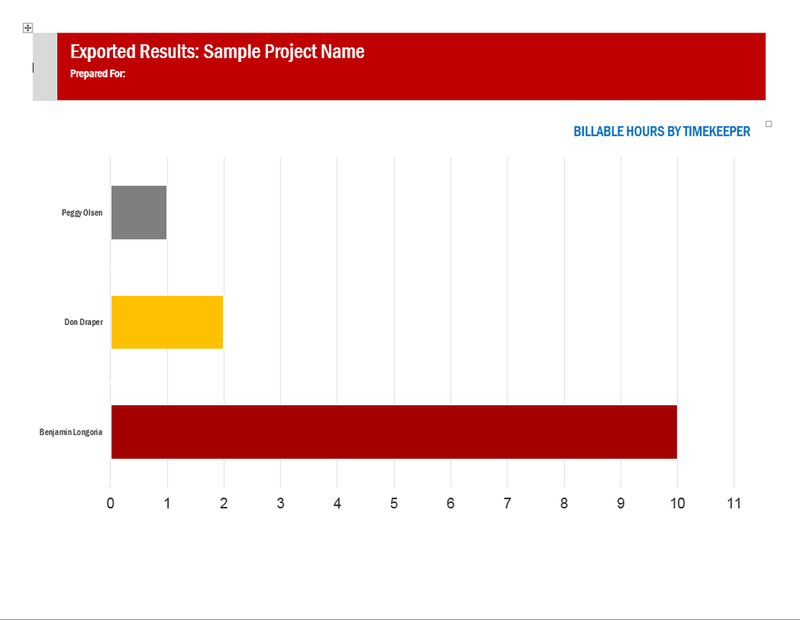 Time entries are automatically associated with review metadata allowing supervisors to run statistical analysis on virtually any review metric. Export results to Word using the Wizdocs Reports Generator.